Kenny is a retired NC State Trooper. 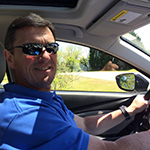 Kenny was stationed in Wake County and at the NC Highway Patrol Training Academy's Driver Training Section. Kenny spent 12 years at driver training where he instructed precision, pursuit, defensive driving, and 4 X 4 driver training. Kenny also instructed the precision immobilization technique or PIT. He also attended the United States Secret Service Driver Training Course in Beltsville, Maryland, Police Vehicle Operation Instructor Training in Toronto, Ontario and the FBI driver training in Quantico, Virginia. Kenny has been a B.R.A.K.E.S. instructor since April 2014. "Just wanted to let you all know how much our family enjoyed the BRAKES class at El Toro Marine Base on Saturday 12/7 at 1pm. Both my husband and I attended with our son. He gained confidence and skill and felt it was a great experience. My husband and I commented that even at our age, we'd never had the opportunity to practice slides, panic braking, etc. was a great (although COLD!!) day :) Think it was the coldest day in Orange County in the 46 years I've lived here! It was a great experience for all of us. 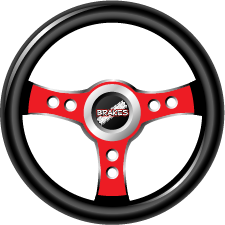 Please convey our heartfelt thanks to you and the entire BRAKES staff for an amazing experience. " "I'm sure you hear this a lot, but, my son took your training 4 years ago...tonight he called me after skidding and avoiding a serious accident, quite shaken he said "thanks for the BRAKES training" Thanks to all of you that volunteer and to Doug , know that it's working and you are saving countless lives."